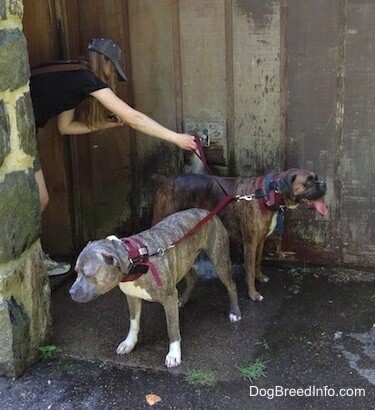 On the 4th of July we headed out early for a long walk at a state park. You know the saying ”a tired dog is a good dog”—it also applies to fireworks. When a dog goes for an extra-long walk before those bangs and booms go off it has an easier time relaxing. We walked for six and a half miles. 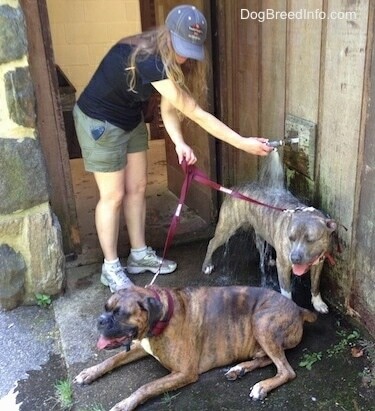 It was a hot day and the dogs needed to cool off. We found a water faucet and I positioned Spencer under it. I was not sure how he was going to react when I first turned the water on, but he loved it! 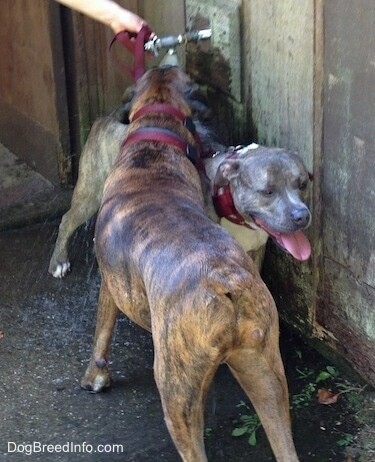 Bruno turned around and started drinking the water as it splashed onto Spencer's back. 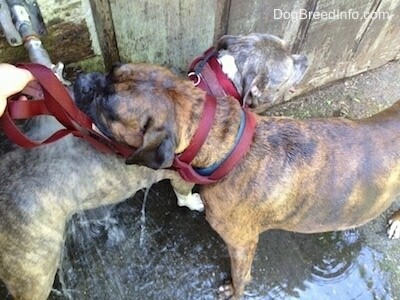 Then Bruno lay down in the puddle that had formed. Bruno, come here buddy, it's your turn. Bruno loved it too. He just stood there as the water poured onto his back. 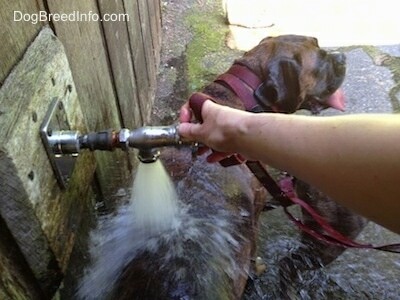 When cooling off a dog the best places to hit are the chest, belly and feet, but this faucet was doing a pretty good job at getting them wet enough to cool off. When the nighttime fireworks started going off in all directions around the house Bruno, who once was terrified of thunderstorms and fireworks got up and calmly lay next to me. Spencer asked to go outside and walked around as if nothing at all was happening. When Spencer was a puppy we were careful not to pet him or give him any other type of affection when he seemed unsure about fireworks he was hearing in the distance. At one point when I was about to walk outside with Spencer, I asked Bruno if he wanted to come with me. I wish I had a picture of the look on his face. His eyes were wide, his ears slightly back. His face said "You're kidding right? No way, no how do I want to go out there to that war zone." I had said to him, "Are you sure you don't want to come?" Bruno then turned his head to the side and no longer made eye contact. He was saying, "I am not challenging you, but no, I don't want to go out there and please don't make me." I am sure he was relieved when I shut the door without making him come. There was a time when Bruno would have been hiding, shaking and drooling during fireworks or a thunderstorm, but we had worked with him and now he just calmly lies down next to my desk until it is over.